The recent migrant caravan and federal government shutdown have highlighted the need for greater border security. President Trump is currently fighting with Democrats to get a wall built along the Southern border as thousands of migrants are attempting to enter the U.S. illegally. But when he finds out who just helped the caravan invade America, he will lose it. President Trump was elected in 2016 because he promised to end illegal immigration and secure the border. In addition to being a major agenda in his administration, he’s also making it a key issue in his re-election bid as well. And it comes as no surprise that the Democrats are clashing so harshly against Trump on the question of securing the border. 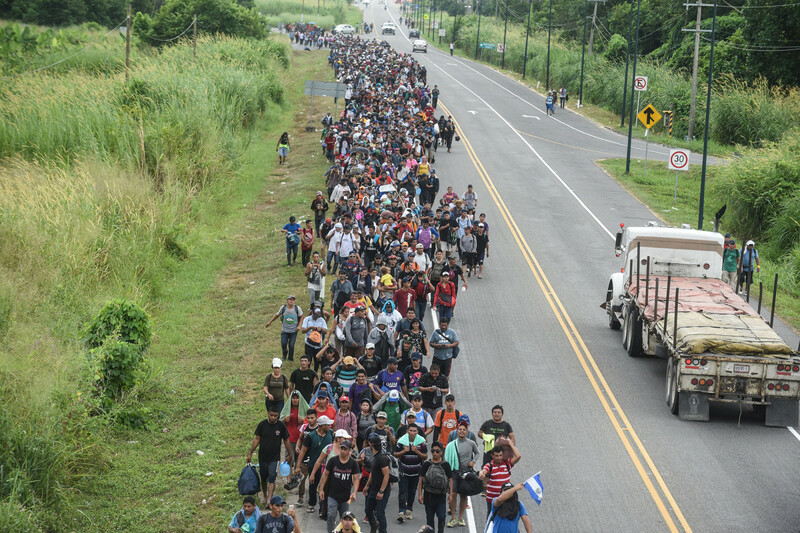 As much as Trump wants to secure the border and end illegal immigration, Democrats want open borders and more illegal immigrants pouring into the country in the hopes that once they are granted citizenship, they will vote Democrat. This dispute has boiled over into the current government shutdown, already the longest in history. Nancy Pelosi and Chuck Schumer are not just using the federal government and its employees as hostages to block the construction of the border wall, they’re using the entire budget crisis to continue to keep the borders wide-open. The goal of Pelosi and Schumer isn’t to resolve the problem, but to continue with the same failed policies of the last 30 years and blame the disaster on President Trump. Their end game is to allow thousands of illegal immigrants to pour in each year with the objective of granting them citizenship. This will create a massive population of newly legalized voters who will owe their status to the hard work of the Democrats and will almost certainly vote Democrat for decades. To this end, Pelosi and Schumer are not just holding the government hostage, they’re rooting for more migrant caravans to try and storm into the United States. But President Trump is determined to protect America’s borders, even if it means fighting them every step of the way. Do you think Pelosi and Schumer are aiding the caravans trying to cross the border?